We are offering Wooden Lamp to our clients. Rana Overseas leading manufacturer, Supplier and Exporter of Wooden lamps, We have various designs in wooden lamps , We have a wide range of Lamp bases in Wood, We have various Looks, Shapes and Designs in Lamps.We have Modern Lamps, Antique Lamps, handmade Lamps, Hand crafted Lamps, Carved Lamps, wooden undercut Lamps. Fine Decorative Wooden Gemstone Lamp Available In Different Designs & Sizes. We are instrumental in offering an array of Wooden Lamps. Our offered products are precisely designed and developed using finest quality material and latest technology in compliance with industry defined standards. Our offered products are highly preferred for their durability and quality. Available in different Sizes, Shapes & Designs. 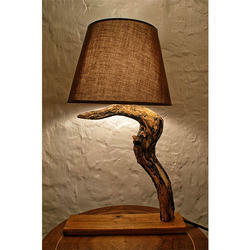 We are offering an amazing range of superb quality Wooden Lamp to our clients. This aesthetically designed product is most useful to imparts bright illumination on various home areas and provides an artistic touch to the interiors. These Wooden Lamps are offered in variety of designs, shapes, sizes and colours. 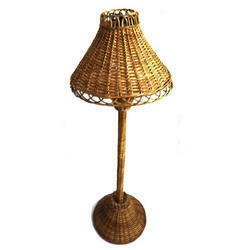 We bring forth designer Wooden Lamp that is made from high quality wood that ensures durability. The Wooden Lamp is available in different finishes and dimensions to cater the needs of the buyers. We are the leading Manufacture supplier exporter of Wooden Lamp and offer this product as per client requirments and this product Made by our expert with the Great quality and i am looking For bulk order .